Internet-based applications are building up privacy concerns worldwide. The UN has even named privacy in its Universal Declaration of Human Rights. How exactly does privacy regulation differ in the United States and in the European Union? 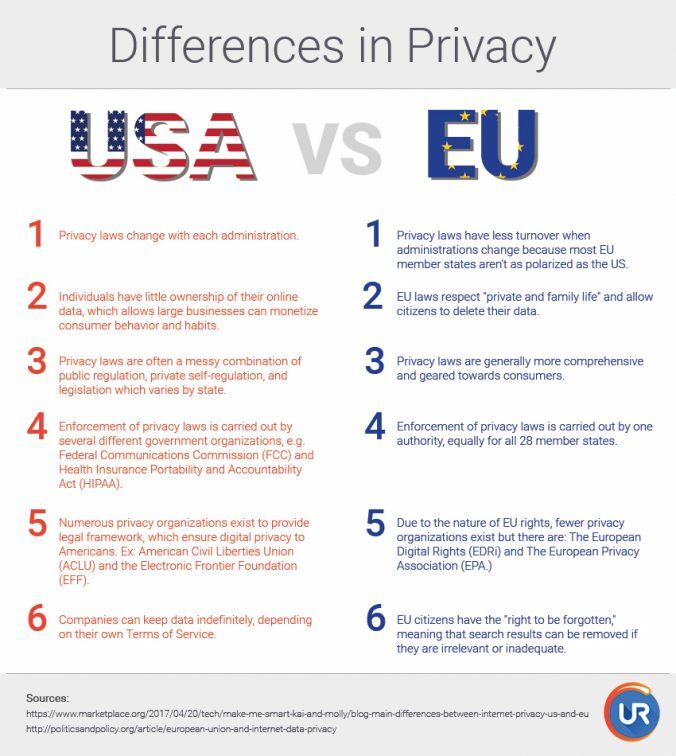 See below for the top ways in which privacy regulation varies between these two large economies. UR is a web browser focused on user privacy. Learn more more about the privacy feature here. The Privacy Shield may be in limbo according the EU officials. With the FCC recently rolling back internet privacy rules, the EU is concerned about the future of the US-EU Privacy Shield. 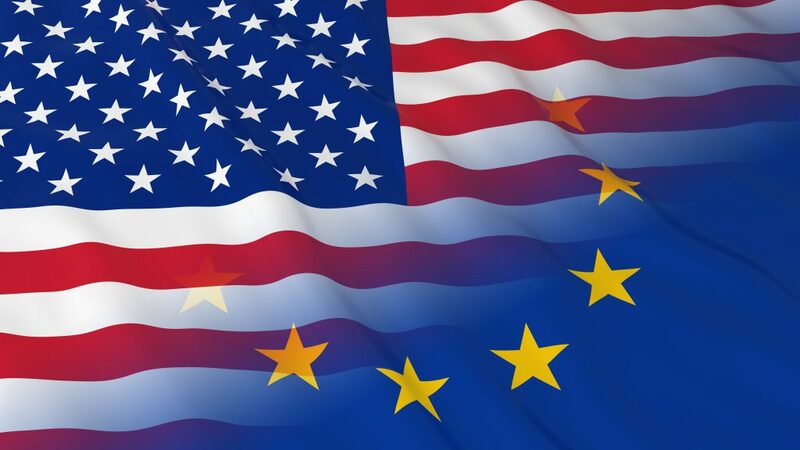 The European Parliament voted on a resolution last week that would ask the European Commission (the executive branch of the EU) to ensure that Europeans’ data is being protected, as agreed upon in the US-EU Privacy Shield. The Privacy Shield came into effect in July 2016, after the previous Safe Harbor agreement was declared invalid by European courts in 2015. Less than a year into it, the Privacy Shield is on the rocks—the object of two lawsuits, and to date, lacking an ombudsman to oversee complaints. Read more on The Daily Dot. UR is a secure web browser based in the European Union. Our goal? Protecting your data. Find out more about privacy in UR.